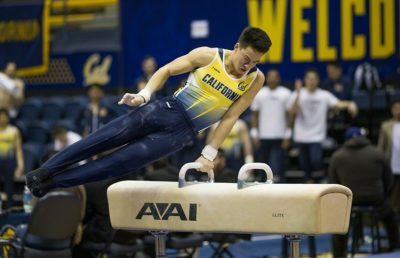 After a discouraging performance the weekend before at the International Collegiate Challenge, the Cal men’s gymnastics team’s first meet of the season outside its home state proved a success for the team, even if it didn’t end with a win. 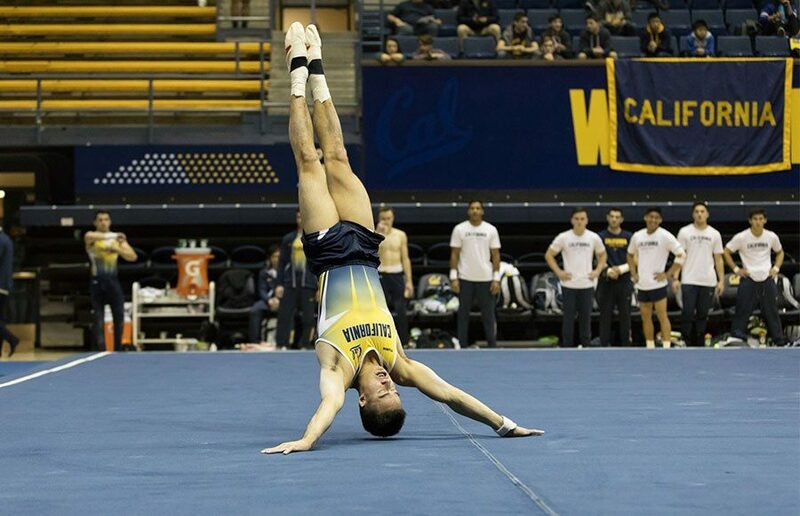 Cal kicked off the competition with some fire, scoring 68.500 during the floor exercise rotation to just barely beating out Oklahoma’s 68.150. This small victory would give Cal the boost to finish the tournament with a team score of 397.250, its highest of the season so far and a big comeback from last weekend. This valiant effort, however, would not be enough to overcome the top-ranked juggernaut. The Sooners would go on to win every other event, individually and as a team, to finish with a score of 410.100. Aside from final outcome, Cal celebrated many small victories throughout the day. In addition to their successful team effort on the floor, the Bears also pulled together a season high in the vault with a collective score of 69.550. Senior Yordan Aleksandrov showed success in his first tournament of the season as an all-around competitor, sharing a tie for second place with junior Aaron Mah with a score of 80.150. This performance shows promise for his future contributions to the team in this position. Having finished with individual and team titles in every event of the night except floor, this was definitely a sweet success for the Sooners. The Bears’ hard-fought outcome, however, also looks promising for future out-of-state meets and quick, weekend-to-weekend turnarounds. The Bears will have a chance to build on their season high this coming Saturday as they head north to Minneapolis and face No. 6 Minnesota. 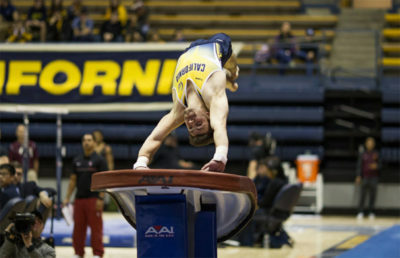 Hopefully, Cal can continue to better their game in the face of midranked teams that it might actually be able to beat.